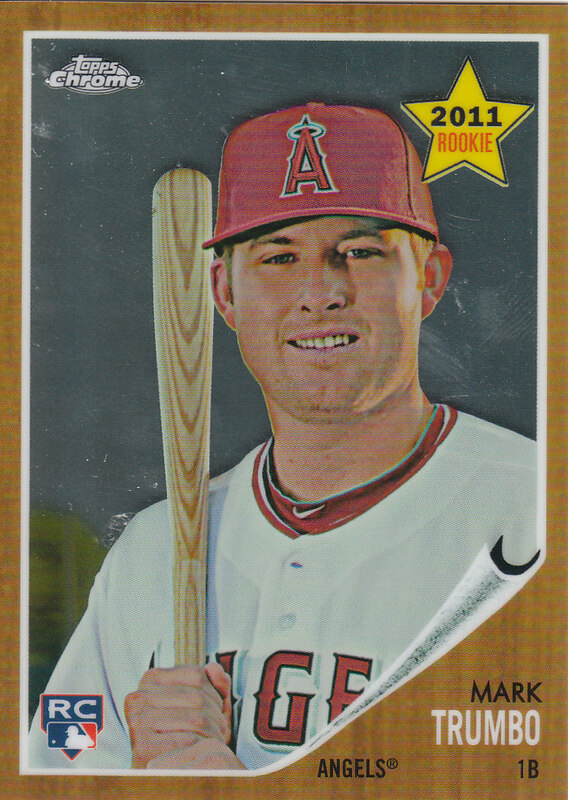 And the insert in this pack is a Trumb Heritage Chrome numbered /1962... and FYI, according to the back of this card, he was the 2010 Angels Organizational Player of the Year. Who says you never learn anything on this blog!!!! Oh yea, I almost forgot... SIGN UP FOR THE GROUP BREAK before I have to send someone over to break your thumbs! Haha! I'm not an Angels fan, but nice hit! Go ahead and show us that atomic Ian Kinsler you know you pulled!! If I remember correctly (and I don't usually) Beckham was a SS but moved to 3rd because of Ramirez at SS. Then the next season, moved to 2B to make room for someone else and has been there since.